Dik Geurts designs and makes contemporary woodburning stoves that are smart, comfortable and energy efficient. 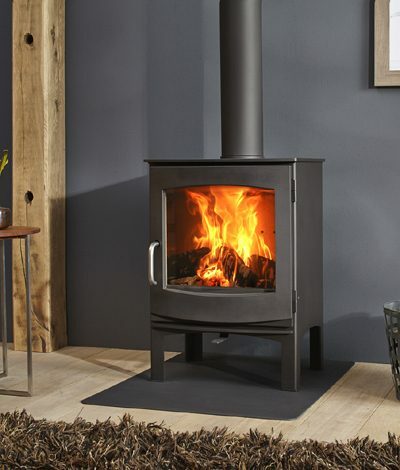 They include the latest wood stove technology and are suitable for both urban and rural properties. Ivar Low is a contemporary and versatile stove that can burn wood, coke or coal. 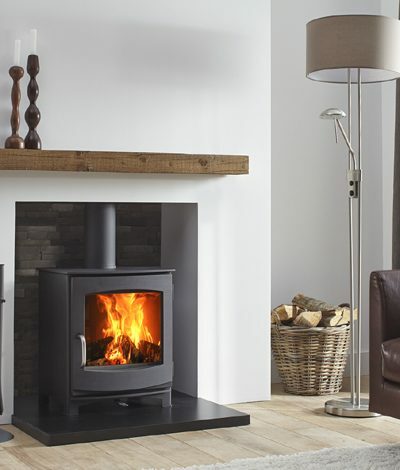 It has a classic wood stove design, with a large viewing window, that is equally at home in modern or period homes. With a heat output of 4.9 kw, it can easily heat a large room, but its low emissions qualify it for DEFRA approval in urban smokeless zones. Ivar Low can be installed as a freestanding wood or multi fuel stove. It is also possible to create an inglenook chimney opening that will accommodate this solid, dependable woodburner. The stove has a solid cast iron door with a removeable handle, making it is easy to clean and maintain. It is also easy to install, with flue connections from the top or rear of the stove. This wood or multi-fuel stove has external air connection as standard, which enhances its clean-burning capabilities. And with an energy efficiency of 82%, it is economical as well as desireable. The modern and atmospheric Ivar wood stoves are finished in dark anthracite with a functional, cast iron door. The Ivar 5 StoreEA with storage space, can be placed free-standing in a living room. Ivar High is a fashionable and adaptable stove that can burn wood, coke or coal. It has a characteristic wood stove design, with a large viewing window, that is equally at home in contemorary or historical homes. 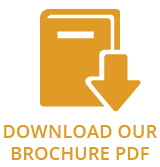 With a heat output of up to 6 kw, it can easily heat a spacious room, but its low emissions qualify it for DEFRA approval in urban smokeless zones. The stove has a solid cast iron door with a removable handle, making it is easy to clean and maintain. It is also easy to install, with flue connections from the top or rear of the stove. 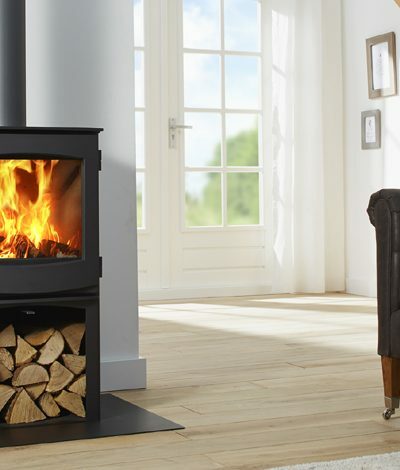 Ivar High is designed to be installed as a freestanding wood or multi fuel stove, so it is suitable for living rooms, kitchens and many other locations around the home. This wood or multi-fuel stove has external air connection as standard, which enhances its clean-burning capabilities. And with an energy efficiency of 82%, it is economical to run as well as easy on the eye. The modern and atmospheric Ivar wood stoves are finished in dark anthracite with a functional, cast iron door. 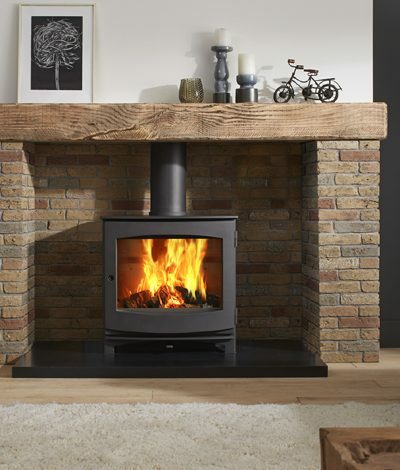 Its limited height makes the Ivar 8 LowEA ideally suited for placement under an existing mantelpiece.